Protecting more than 70,000 homeowners each year, Landmark Home Warranty provides affordable and comprehensive home warranties for residential properties in Arizona, Idaho, Nevada, Oregon, Texas, and Utah. The home warranty company has local representatives and independent licensed contractors in every region it services. Landmark Home Warranty is a member of the National Home Service Contract Association and the Texas Real Estate Commission. Founded in 2004, Landmark Home Warranty's headquarters reside in South Jordan, Utah. Read Landmark Home Warranty reviews below to see what real consumers have to say about the warranty service provider. In addition to offering packages for homeowners, Landmark Home Warranty services also include home warranty coverage options for real estate professionals. Four different real estate plans ranging in price from $375 to $525 per year are available, giving real estate agents the ability to select the home warranty coverage level they prefer. Landmark Home Warranty includes pest control services in of each of its plans, and you don't have to pay extra for it. This is relatively unique within the industry and can help homeowners to save money by avoiding the cost of a separate pest control contract. Landmark Home Warranty strives to make it as easy as possible for its customers to protect their homes. The company provides an accessible homeowner dashboard where customers can check their coverage, open a claim, and renew their home warranty coverage and plans online. 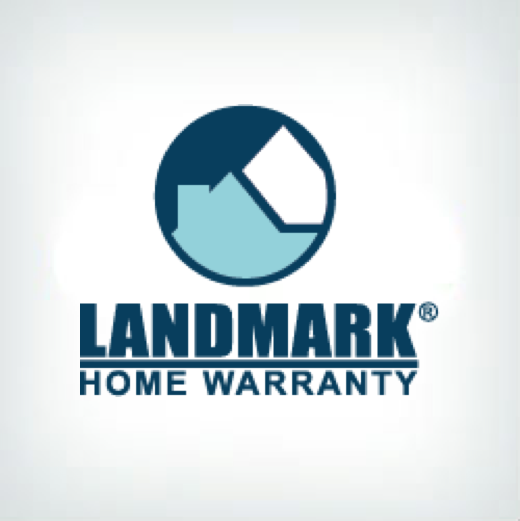 Landmark Home Warranty also provides phone support, and the company has customer service account managers that are available to answer questions and help homeowners open a claim or coordinate a repair or appliance replacement. Landmark Home Warranty's website is quite robust and provides several helpful resources. There is a blog section of the company's website that includes information about buying or selling a house, HVAC, plumbing, appliance warranties, home repairs and maintenance, electrical systems, real estate, pest control, property management, lifestyle and decor, and home warranties. Each of these topics has its own section and includes numerous articles within each that provide information and advice on subjects within the topic. Landmark Home Warranty has received a number of industry accolades and accreditation, including ranking #929 on the Inc. 5000's list of fastest-growing companies of 2016 and #22 on the Utah Business Fast 50 list in 2016. Additionally, Landmark has received a large portion of positive home warranty reviews, and they protect and offer coverage to over 70,000 homeowners each year. Currently, Landmark Home Warranty only offers its services in six states: Arizona, Idaho, Nevada, Oregon, Texas, and Utah. Although the company has announced that it plans to expand nationwide, clients who live elsewhere at this time will not have the ability to purchase home warranty coverage from Landmark Home Warranty. Landmark Home Warranty is a well-respected home warranty company that offers a number of attractive features, including customer service from licensed contractors in every area they are located in, customizable plans for homeowners, packages specifically geared towards real estate professionals, pest control services, customer support, and an informative website. Landmark Home Warranty is definitely worth looking into for those living within its service area of Arizona, Idaho, Nevada, Oregon, Texas, and Utah. Check out Landmark Home Warranty reviews below if you want to see what consumers have to say about the home warranty provider. Customer reviews currently highlight service and repair in a timely manner, quality customer service, affordable prices, and much more. Call our recommended rep over at Landmark Home Warranty below. Or you can visit Landmark Home Warranty website. No AC for a week and poor to no communication. Fast response to claims and very friendly. Would highly recommend. Everyone I spoke to was very professional, timely, courteous. Each time we have called for assistance with a problem, everyone has been most receptive and the people that are sent out are knowledgable and fix the problems. Because they sent a guy to my house that cut a hole in my ceiling and then said they don't cover to fix the hole. Better than expected and quick service. Helpful reps and an excellent contractor! I had an air conditioner replaced with no hassle. Too many out of pocket expenses. Not happy with service. They took care of our problem efficiently and helped with the contractor. Service/repairman was very good, but I would prefer to choose my on repair company. The guy comes and looks at my freezer, finds out what's wrong then has to wait for the ok to fix it. 2 weeks later he calls and says he gets the ok to fix it. While fixing the problem he detects another problem and says he has to have permission to fix it. I wait a week then get an email saying landmark has denied the other part getting fixed. You've been really helpful and covered everything. Great customer service! Because every time I had a problem in my home they was only a phone call away. They make sure that it was taken care of. The warranty was useful in getting the house re keyed and I'm sure it will continue to be useful, but our sprinkler system has a small problem and they didn't cover it so right now they are 50/50. Good price, time to help was good too. Representative was helpful and conveyed all the information in good form. They provide frequent updates regarding my service request progress. You don't exactly get what you pay for. Our service contractor left everything worse than before. The communication has been terrible. I don't think the contractors that they hire are particularly good, and their customer service on the weekends is horrible. I have ended up having to hire outside work in almost every case. Great customer service, easy to make a claim! I've always been treated good. Fast friendly service. No hassles. And they always check to make sure I'm satisfied. Actually, I've had issues with this company. I was promised quick service on a water leak that took three days for someone to come out. I had a billing issue that someone didn't call me back about as promised. The thing this company has going for it is that they want to provide good service. They ask for reviews along the way, and if you submit a bad one, they follow-up on it. They have always resolved my issues, but it would have been better to not have the issues in the first place. They hire people with good workmanship, and working knowledge of the product they are working on. Badly disappointed in the coverage/settlement of my claim for single wall mounted electric oven. Professional, knowledgeable, literate. Seems to be a good company. Great customer service. Very responsive. Great service Price is fair. Repair service is quick and very professional. Great customer service and services! No complaints here! I know if I have any home problem, I can count on Landmark to send someone to resolve the problem. Quality of contractors they select and a no hassell approach with their customers. Did not seem to care about our needs. Double speak. Poor quality of contractors, too few of them so that they take very long to get work done. They were responsive and friendly. Would recommend them to anyone!